Blue skies, red rocks, easy access, electricity, great views on this 5.51 ac. tract of land right in the middle of Red Rock Country. You have to drill a well with the wells in the area averaging 300 ft. with a well next door at approximately 250 ft. The roads to the property and all throughout the area are maintained by the county. You get great southern, northern & western views and great southern exposure. You are probably asking, “what about the East?”, well, there is a mesa top and it is all National Forest. No more than a 40 minute drive to Albuquerque or Rio Rancho which makes it no problem to commute to work. The Jemez River, where you will find Rainbow and German Brown Trout, is only a ten minute drive. The high mountain pines are only a 30 minute drive where you will find elk, deer, grouse, turkey. 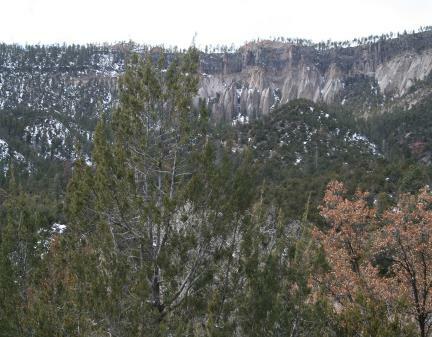 This 5.51 acres is centrally located where you have Albuquerque & high mountain pines minutes away. Great price at $50,000 with owner financing. Owner is open to offers.